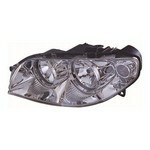 Replacement Headlamp / Headlight unit to fit the Fiat Punto MK2 [2001 to 2003] Black Inner (to fit versions without built in fog light) All items are aftermarket replacement OE style. Replacement Headlamp / Headlight unit to fit the Fiat Punto MK2 [2001 to 2003] Black Inner (to fit versions with built in fog light) All items are aftermarket replacement OE style. 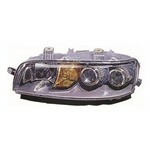 Replacement Headlamp / Headlight unit to fit the Fiat Punto MK2 [2004 to 2006] (H1/H7 bulb types) All items are aftermarket replacement OE style. 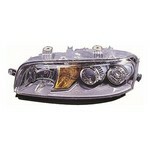 Replacement Headlamp / Headlight unit to fit the Fiat Punto MK2 [1999 to 2001] Chrome Inner (to fit versions without built in fog light) All items are aftermarket replacement OE style. 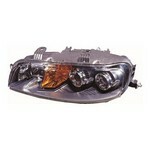 Replacement Headlamp / Headlight unit to fit the Fiat Punto MK2 [1999 to 2001] Chrome Inner (to fit versions with built in fog light) All items are aftermarket replacement OE style.